Posts with this logo are an experiment. Read with love. Todays challenge: Address one of your fears with style. I see her peering from the sheer white curtain. Who does she think she’s fooling? 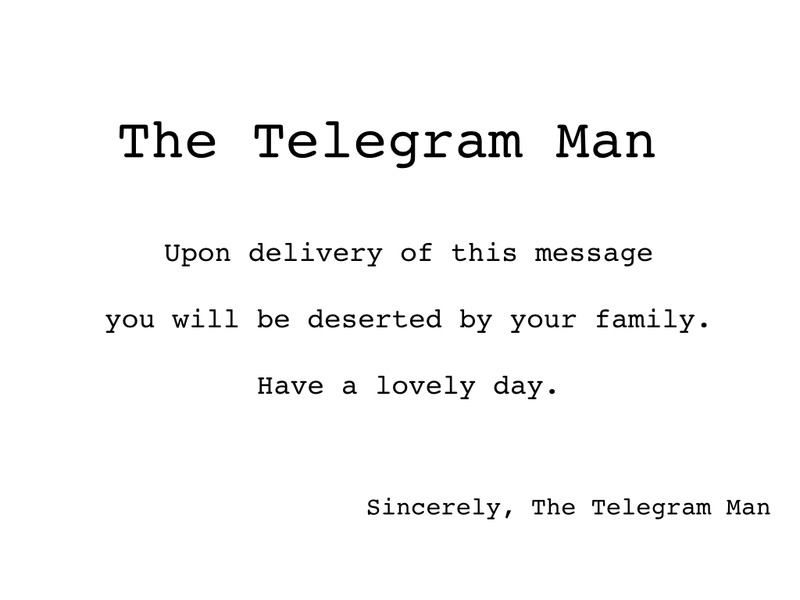 Nothing is hidden from me, I’m the telegram man. Wow, this is what I call creative!